I'm about to dive into the process of kerning using Glyphs for the first time! 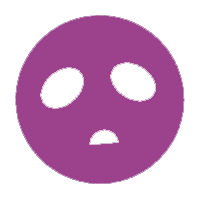 Earlier I've been doing this in RoboFont and Metrics Machine, but now I want to do it in Glyphs. From what I can tell the process looks very different. I'd love to hear about your process! What plugins do you use? How do you create your groups? Do you have any useful tips? I save the masters as UFOs and then kern them with MetricsMachine using a game controller. I like how simple is to just open Glyph and correct wrong side bearings. In case you haven't found it yet, the Kernkraft plugin is very helpful to systematically go through group combos, once you have defined them. You should be able to use the game controller in Glyphs, too. @Georg Seifert Yes, I know but I am accustomed to MetricsMachine's workflow. I check and correct some strings in Glyphs, though. @Johannes Neumeier Thanks for the tip. 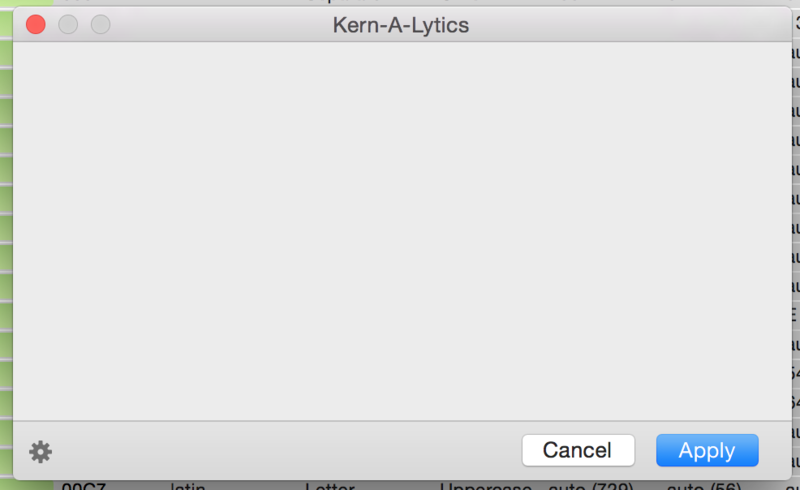 I also think Adobe’s Kerning Analytics is a gorgeous tool to check kerning consistency between masters. @Ramiro Espinoza Are you referring to some standalone tool or do you mean checking Metrics vs. Optical kerning in Adobe Apps? If the former, I couldn't find anything like that, would you have a link or more info? Pity I am a FL and Glyphs user and it hasn't yet been ported to any of these tools. Still may have a bug or two. @George Thomas Have you been able to use it? I think this is the old version that never really worked. I tried it again all I got was an empty window. The Glyphs version has been fixed today. Nice. Why exactly do you guys use all these external programs? I use an InDesign document with all possible letter combinations and go trough it about 30 letters at a time until it's done. Obviously after I have finished the metrics and input the kerning classes, which are more or less the same every time. @Vasil Stanev It's a matter of personal taste. I find MetricsMachine very ergonomic, specially combined with a controller. @Vasil Stanev probably cause it's much more streamlined/systematic and I can kern, check, and correct a latin weight within a couple of hours. I use a standard inDesign doc to check my kerning as well, and I build custom pair lists for Metrics Machine that help me breeze through the pairs without forgetting any and without really needing to type anything. I don't know how your inDesign file looks like, but what I like about Metrics Machine is that it shows you stuff in context and you are kerning "live". I guess having a really well prepared string of text for Glyphs (with a of of combinations in context) and pasting it all in one window, then tackling them one by one would have a similar level of efficiency. In Glyphs, you can set up any number of custom kerning strings in a text file (or multiple text files), including multi-line samples. 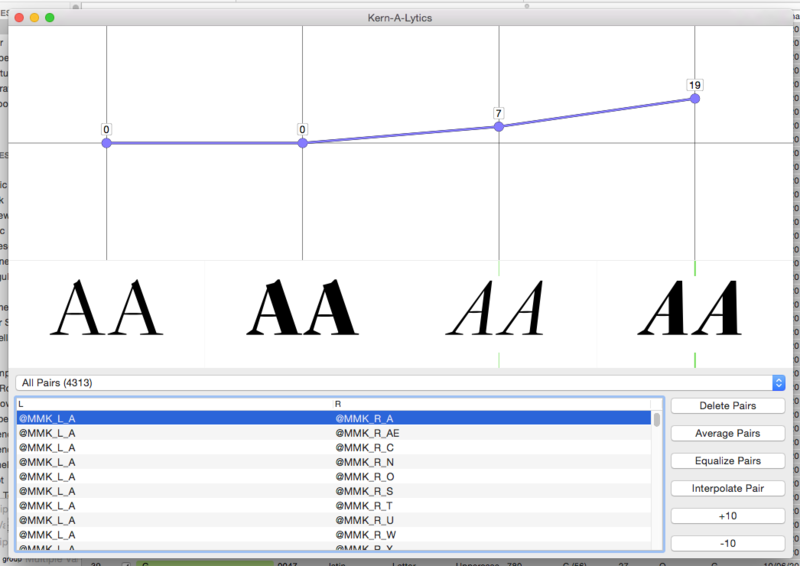 In the past, I used InDesign documents for checking kerning, but now I have them all set up as sample string files I can use directly in Glyphs, where I can fix the kerning "live". No need to repeatedly generate fonts and check in InDesign. (Working in FL5) I have generated a set of text files which I use as kern strings as well. I do them in order to be most efficient. I still test in InD files but many fewer than before. After doing it a while, you get much faster. Having a 27" retina screen has drastically reduced the number of printouts I need to make when kerning. I try to download Metrics Machine today, mac os reports disk is damaged. On Type Supply it reads is no longer updated. Is there legacy version to try or is this tool kaput? What's the exact pixel density, if I may ask? I've got a Retina 15" Mac with 220 ppi, and a 13" Dell with 331 ppi, and I'm starting to think it makes a huge difference. According to Wired the 27" 5k iMac has a pixel density of 218 PPI. So it doesn’t come close to the pixel density of phones, but it still beats the bad old days of 72 or 96ppi! On the other hand, I've bought a 1200 dpi printer since 600 wasn't enough, so we're still quite far from screens that would make printouts redundant. I’m not sure printouts will ever be redundant. There’s something about glowing screens that can just mask problems that jump right out on paper. I was proofing on paper earlier and found two nasty spacing problems that combine into an ugly gap. It looked fine on screen! The images on a screen are antialiased, making the effective resolution higher than if it were monochrome. Printouts are monochrome. Viewing distance is a factor. I am usually viewing my screen from about 24" (about 600 mm), whereas when I'm looking at printouts it's about half that. The perceived resolution doubles when distance doubles (or halves at at half the distance). So it's not a simple as 218 vs. 1200.